Meeting my first new family members in San Diego. I was a little bit scared but got the hang of it since Izzie was so good with me. I first have to let them smell me, then I have to sit down, and maybe even lay down so that I let them know that I’m a little submissive and I don’t want to be the boss. 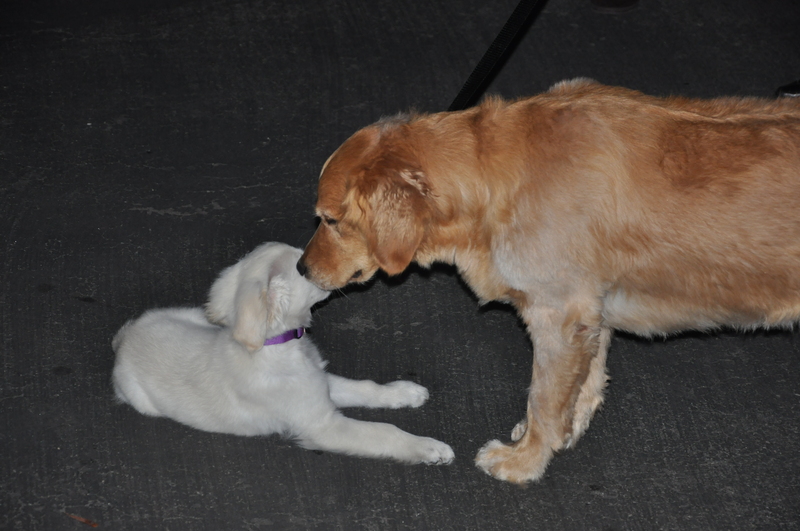 Here is my first time meeting Izzie. She was so nice and sweet to me and tried to play with me with her paws a lot. It was REALLY fun. Lay down to met new friends.